Elvis changed the words of the original slightly in his performance, singing "you may get a pink Cadillac," in place of Gunter's original "you may get religion." Elvis already had religion, the Cadillac would soon follow! There is some doubt about the recording date: 5 February is the date normally listed, but Elvis appeared at the Louisiana Hayride on that date; it is possible that the song was recorded earlier that same week. Arthur Gunter was born on 23 May 1926 in Nashville, Tennessee. As a child, he formed the Gunter Brothers Quartet with his brothers and cousins. 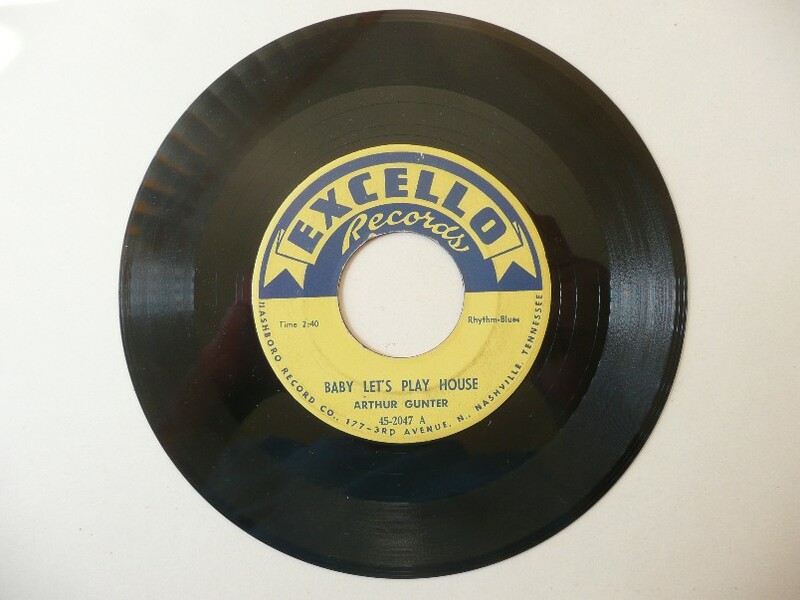 In 1954 he signed with Excello Records and recorded "Baby Let's Play House" in November. It was released on Excello 2047 and was a local hit. It became nationally known the following year when Elvis recorded it for Sun; "Elvis got that number and made it famous. But I didn't get a chance to shake his hand," Gunter would later say. His first royalty check, received that same year, was for $6500. Arthur Gunter died in March 1976. Come back baby I wanna play house with you.